Clogged air filter: This can cause your cold air to freeze and then thaw when you turn your air conditioner off. Condensation buildup within your ductwork: Condensation buildup will lead to flooding if you're not careful. Burned contacts: The contact sends voltage to several parts of your AC system. If it burns, it can cause leaks. Low refrigerant: This can cause your evaporator coil to freeze and then defrost, leaving you with a mess. This is just the beginning of the ways your air conditioner can fail. The best action plan is to have someone check your AC unit at least annually, and preferably twice per year. That way, they can tell you if something is wrong and fix it before you're left with thousands of dollars in repairs. Usually, the last thing we expect to cause water damage is our air conditioner. One day you can leave for work expecting to come back to a cold house, only to return to a flood. 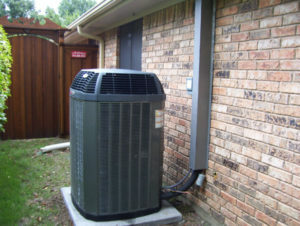 Your air conditioner can cause water damage, and it's essential to learn the signs so you can detect whether or not your AC unit poses a threat. 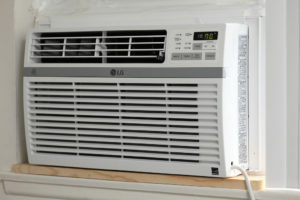 You can also follow these tips on how to clean up water damage from your AC unit. Cleaning up the damage depends on how soon you catch it. If you only have a puddle or a small water leak, you may just need to replace some drywall. However, if you didn't notice water damage, you might need to replace your floors, ceilings and more. There's another layer when mold gets in the way. Mold and mildew cause serious safety hazards and health issues. You can eliminate most mold within 24 to 48 hours. If you're late to catch it, you might not be able to save anything. When you're trying to figure out how to clean up water damage from an AC unit, try calling ServiceMaster of Lincoln Park. Water damage is difficult and sometimes impossible to clean on your own, especially if you didn't know your air conditioner had a problem and you're now facing severe water damage. Don't try to clean it up alone. You may get rid of the water, but it's not the same as restoring your home. We'll go through the entire cleaning and restoration process with you to make sure you're coming home to a clean and safe environment. Contact us today to learn more about our residential cleaning and water restoration services.